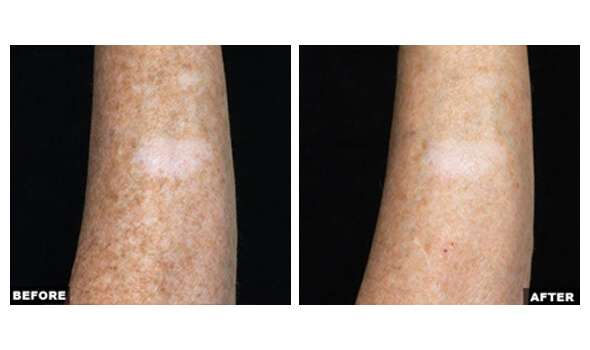 Fraxel is a treatment that uses fractional laser technology to treat minor to severe skin damage. 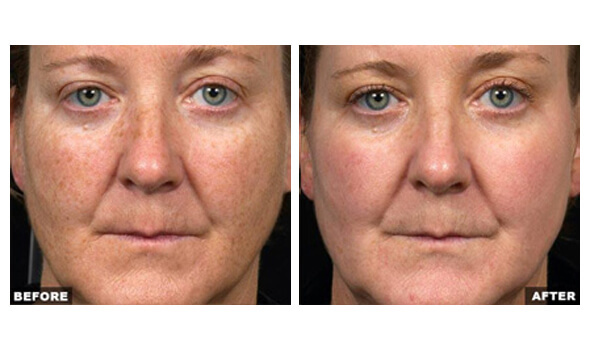 The Fraxel laser is an effective treatment for scarring, sun spots, wrinkles and other signs of ageing. The laser targets both the superficial and the deeper layers of the skin giving a smoother, fresher and more youthful appearance. It is an effective treatment for anywhere on the body. The Fraxel treatment is carried out by one of our highly trained specialists. During your initial consultation the specialist will discuss the procedure with you and come up with a personalised treatment plan. For the best results it is recommended that patients have 3 to 6 sessions of Fraxel treatment. Each Fraxel treatment will take between 20 to 30 minutes. The Fraxel treatment gives both immediate and progressive results. Shortly after the treatment you can expect to see smoother, fresher skin giving you a more youthful appearance. As early as after your first treatment you should notice that your skin’s texture has improved and that wrinkles, pores and brown spots appear reduced. Acne scars and surgical scars will appear flatter and more even. Over the following 3 to 6 months further improvement will be seen as new collagen is produced in the deeper layers of skin. The overall results are long lasting and depend on your lifestyle, skin condition, age and skin care regimen. Patients will often require 4 to 6 sessions of Fraxel laser treatment to achieve optimum results. The specific number of treatments you will need will depend on the area to be treated, your skin condition and the desired results. A minimum of 3 sessions is recommended. We will work with you to identify the appropriate level of treatment and your preferred downtime. What should I expect after my Fraxel treatment? Immediately after the treatment, you will experience redness, swelling and sometimes pinpoint bleeding. You will notice most of the swelling on the first morning after treatment, particularly under the eyes. Any laser treatment will cause varying degrees of redness and swelling in the treatment area. Swelling usually lasts 2 to 3 days. Most people will feel some heat-related discomfort associated with the treatment. This discomfort is usually temporary during the procedure and localized within the treatment area. These common side effects last from several days to a couple of weeks, depending upon the level of treatment. Itching can also occur as part of the normal wound healing process or may occur as part of infection, poor wound healing or contact dermatitis. A flare-up of acne or formation of milia (tiny white bumps or small cysts on the skin) may occur. These symptoms usually resolve completely. Herpes Simplex Virus (cold sore) eruption may result in rare cases in a treated area that has previously been infected with the virus. If pigmentation is present on the skin, this may darken soon after treatment and last a few days until it gently flakes away revealing fresher, glowing and smoother looking and feeling skin. Your skin may feel dry, peel, or flake. You may notice a “sandpaper” texture a few days after treatment. This is the treated tissue working its way out of your body as new fresh skin is regenerated. 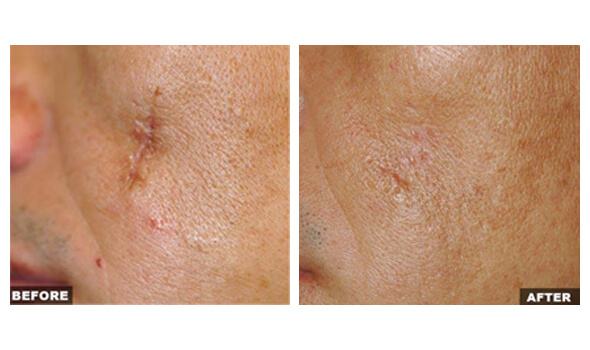 This dead skin is a normal result of laser treatment, and should start sloughing off 3 to 4 days after the treatment. Most patients complete this process 5 to 7 days after a treatment on the face. Skin on the hands or arms, where healing is slower, may take up to 2 weeks to complete this process. Once the sloughing is complete, you may notice some pinkness over the next few weeks. Most redness resolves during the first week after treatment, but a rosy “glow” can remain for several weeks. If you wish, you can apply makeup to minimize the redness. 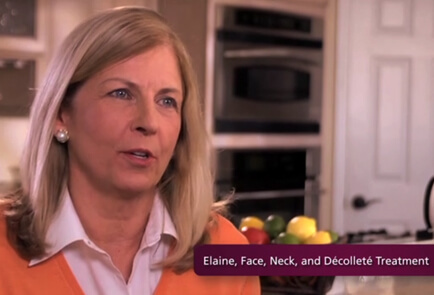 The Fraxel treatment is a safe option backed by extensive research. Of course, as with any laser procedure there is always some risk and downtime. You should discuss this with your dermatologist prior to your treatment. It is not possible to completely predict who will benefit from the procedure. Some patients will have very noticeable improvement, while others may have little or no improvement. A series of treatments is usually needed for maximum results. Fraxel laser treatment does have some minor side effects. The intensity and duration of your side effects depends on the treatment intensity and your individual healing characteristics. Generally, patients who are treated more intensively experience more and longer lasting side effects. Congratulations! You have taken the first step toward more healthy and radiant looking skin by having a Fraxel laser treatment. Now it is important to help your skin heal quickly and protect your skin investment. Your post-treatment skin care regimen is tailored to the treatment you received. Immediately after you treatment you should use a bland moisturizer or a very thin layer of petrolatum ointment. Use petrolatum ointment to cover any area that is oozing and keep it moist. Icepacks can be used to help alleviate the heat sensation. You may also cleanse your face with a mild cleanser. For the first few days after your treatment you should continue cleansing and moisturizing your skin. Once the sloughing starts, allow your skin to heal and do not scrub, rub, or use exfoliants during this time. Keep clothing away from treated body parts as much as possible to avoid irritation. Keep the treated area clean; avoid smoking, excessive alcohol consumption, excessive exercise, perspiring, swimming, or exposing skin to heat and sun. Any skin care products you use should be non-irritating and non-clogging for the first week or so after a Fraxel treatment. Scrubs, toners, glycolic acid, and Retin A will be too irritating as your skin will be sensitive for the first week or so after treatment. Do not use products that will cause irritation during this time. Once the sloughing is complete, you may resume your routine skin care and make-up products, as long as they are tolerable to you. It is very important that you use sunscreen to prevent sun damage to the skin. Sunscreen should offer broadband protection (UVA and UVB) and have a sun protection factor (SPF) of 30 or more. Once sloughing is complete, use sunscreen daily for at least 3 months after your last treatment. Apply sunscreen 20 minutes before going outside, and again, immediately before. Reapply sunscreen every 2 hours. If direct sun exposure is necessary, wear a hat and clothing that covers the treated area. Your practice of diligent sunscreen use may lower the risk of laser-induced hyperpigmentation (darker colour skin patches). Remember that peeling and/or flaking is normal during the healing process. Therefore, the moisturizer you use should be non-irritating and non-clogging, or else you could develop breakouts. During the healing period, your normal moisturizer may be too occlusive. You should ask your dermatologist to advise you on the most suitable moisturizer. Instead of using 2 separate products, use can use moisturizers that contain SPF 30+. Reapply whenever your skin feels dry. You should also discontinue use of lightening skin creams while your skin is tender. You can resume your normal skin care regimen when your skin has fully healed. For more information regarding the Fraxel laser treatment please contact us on 020 7467 3720.